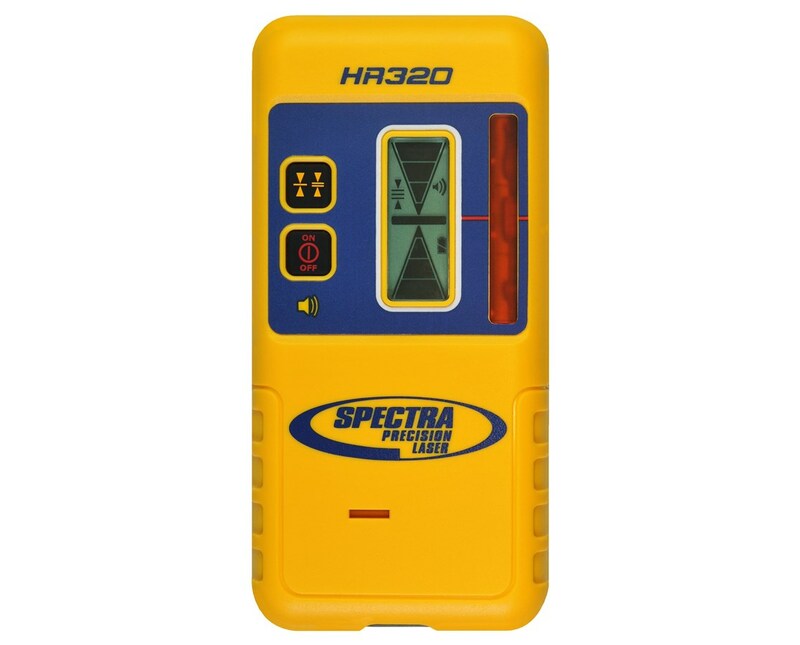 With two on-grade accuracies and dual LCD display, the Spectra HR320 Laser Detector extends the working range of your red beam rotary laser. This laser detector is ideal to use when estimating cut and fill, performing exterior leveling, or checking and setting elevations. Featuring large, front and rear LCDs, the HR 320 laser receiver graphically displays easy-to-read information from different angles. It also has a five-segment arrow display that indicates grade position, 90-degree reception angle and fine or medium selectable accuracies to meet various jobsite conditions. 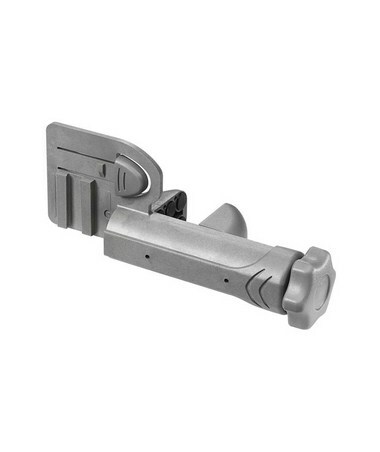 The included snap on C59 rod clamp allows construction professionals to easily switch from rod-mounted to handheld applications. 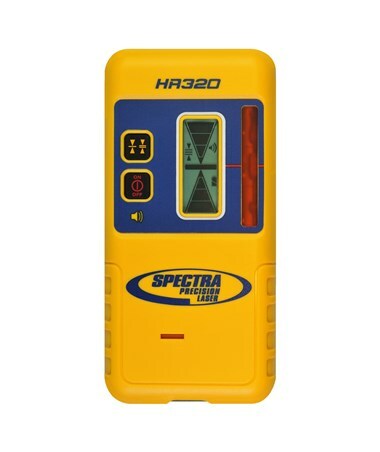 This Spectra laser detector also has a loud and adjustable 100-decibel speaker designed for noisy environments. With an IP-67 rating, the HR320 is dustproof and waterproof and can withstand a five- foot drop onto concrete. It also works up to 70 hours using standard alkaline batteries and automatically shuts off after 30 minutes to save on power. 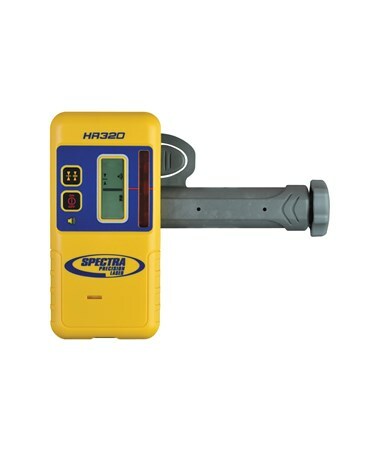 This Spectra laser receiver package comes with a C59 rod clamp, two AA alkaline batteries and 2-year manufacturer's warranty.